I LOVE "Call The Midwife"
Really, anything birthy I will take interest in. 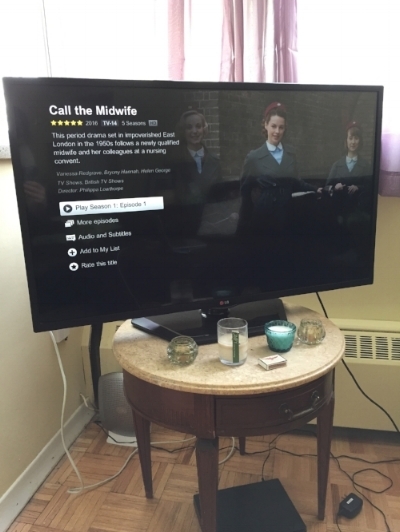 But a tv show, on Netflix, about midwives in England in the 50s and 60s?! Sign me up! 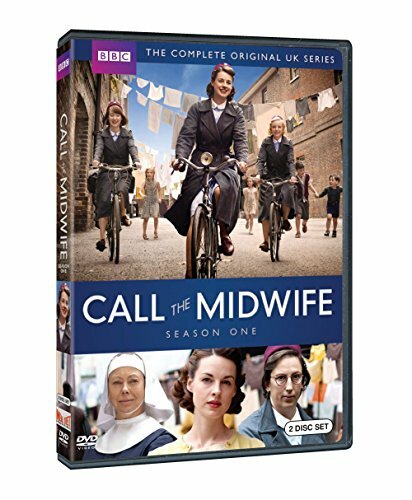 I was first introduced to "Call The Midwife" a few years ago when I was doing my doula training actually. During one of the lunch breaks a few of the girls were talking about this show and my ears perked right up. As soon as I went home I think I watched the first episode. I was hooked! The true story based on her memoirs follows a young woman named Jenny who starts a new job as a midwife in a nursing convent in a poor district of London. There's a fun cast of characters (Chummy is the best, you guys), and a whole lot of heart. I stopped watching for some reason after Season 2, I think I just got busy with life. But a few weeks ago, after moving into the new place I decided to give it another go. I BINGE watched the last three seasons. I didn't even know that the last episode was the last until I was brought back to the main menu with the option to start at Season 1, Episode 1. That was upsetting, ESPECIALLY considering how Season 5 ends. I don't want to give spoilers because I encourage everyone to watch it, but let's just say we lose a very well loved character. What I really love about the show is that unlike so many other tv shows and movies, "Call The Midwife" depicts birth in a very realistic way. I think they've touched on just about every type of birth I can think of. Breech, stillbirth, twins, precipitous birth, etc. The story arcs of main characters, and single episode characters, deal with a lot of real stuff too like illness, sexuality, poverty, teen pregnancy, and so much more. At times it can be real heavy (my boyfriend says that every time it's on someone's crying about something! Not far off...), but there's a lot of happiness too (because duh, babies are being born). Plus a great deal of comic relief (shoutout to handyman Fred!). One of my favourite parts of the show is definitely Shelagh and Dr. Turner's relationship. What do you all like about "Call The Midwife"? Have any of you read Jenny Worth's memoir? Let me know in the comments! If you love birth, or England in the 50s and 60s, I highly recommend everyone to watch and enjoy!